When Indian quants do not like the numbers you are tossing out...you have a problem. Is history repeating itself in Japan? V Anantha Nageswaran - When Mr Abe took over as the Prime Minister of Japan, he had to contend with North Korean missiles. Now, he has to contend with Japanese machinery orders—an indication of industrial production. Orders dropped 7.4% year-on-year in September, though the consensus forecast called for a rise of 1.8%. Putting on a brave face, Mr Toshihiko Fukui, the governor of the Bank of Japan (BoJ), had said he expected interest rates to rise “soon.” The short-rate in Japan stands at a paltry 0.25%. Interest rate futures show that the market expects this rate to be around 0.75% by end-2007. That reflects expectations of modest growth and a very slow exit out of deflation in Japan. Mr Fukui obviously does not concur with the market’s assessment. He is concerned about the risks of keeping rates too low rather than the risk of raising them too prematurely. Is he right? The question is whether the BoJ is about to repeat its policy errors of the past. The Lex column of The Financial Times last Thursday expressed scepticism on the Japanese recovery story, and for good reason. 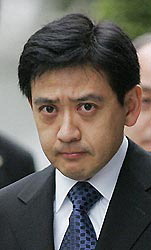 Mr Takenaka, the former financial services minister has questioned the actions of the BoJ in mopping up money supply and liquidity too quickly from the economy. He blames that action for the economic slowdown. Our belief in the Japanese economic recovery this time is based on the following: (a) It is driven by the private sector; (b) It is coming on the back of a genuine cleanup in the banking sector; (c) It is based on a classical recovery pattern seen in the US in the ’90s with investment spending and corporate profits recovery; and (d) it is based on a firming of land and property prices. Yet, recent data has created a noise of slowdown so loud it is hard to ignore. Bank lending growth has slowed for the second month in a row. The Economy Watchers’ Survey indicates a softening of the optimism on current conditions. The chart shows that the level of optimism has crested twice at 55 and has been unable to break above that level. It is just above break even now. The October survey is not available yet in English and the details would be as important, if not more, as the headline index reading. The BOJ would have an easier time in conducting monetary policy if it knew which metric it should be following. Consumer prices and average wages? They are being held down by globalization-- i.e. the great shift of world manufacturing to China and now India. Producer prices? Rising due to globalization, as the two Asian giants rapidly increase their demand for the world's commodities and intermediate goods. Wages at the low end of the scale and unemployment? In the services base wages are rising thanks to the economic recovery and the shrinking of the labor force--but surreptitious immigration (globalization again) may be setting a ceiling on the rise, throwing a wrench in the reallocation of members of the workforce from manufacturing or unemployment to services. Housing starts? The BOJ's super low interest rates are encouraging vast borrowing by general construction companies, who have kept their businesses going by throwing up gigantic apartment complexes in the former industrial areas of bayside Tokyo. Investment in Japan? With the government on line to once again reduce spending on public works by 3% in the coming fiscal year and the current lull in capital investment, how could the BOJ get away with raising the cost of borrowing? The international value of the yen? The BOJ's super low rates are encouraging the carry trade, the selling of yen on international markets for U.S. dollars, New Zealand bonds--anything that can earn a decent rate of return. The yen stays cheap and the world's markets remain flooded with liquidity, inflating and exacerbating investment bubbles in the U.S. bonds, in Shanghai real estate, in Australian commodities--just about everything everywhere. What's a good central banker to do? What about an evil one? If there is one item in the Socialist Party's and Communist Party's electoral bag of tricks that really puts me off, its their song and dance about the dangers posed by the readmission of American beef. Food safety? In Japan? Ha! A 5-year and 4-month-old female cow, which died last week in northern Japan, has tested positive for mad cow disease, the Agriculture, Forestry and Fisheries Ministry said Monday. This is the 30th case of confirmed bovine spongiform encephalopathy (BSE) in Japan, according to a release of the ministry. The cow was born on a farm in Chitose, Hokkaido in June 2001 before the implementation of a ban on meat-and-bone meal suspected of being a cause of the brain-wasting disease, the ministry said. 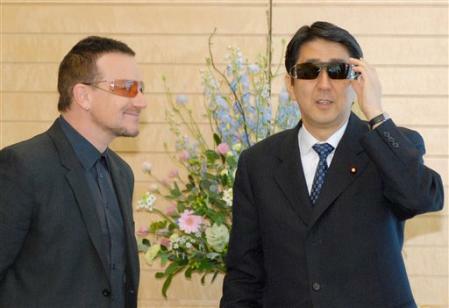 Of course, in Japan, no one ever hides embarrassing or incriminating information. The most hilarious part...well perhaps not so hilarious to the individuals who will die of variant Creutzfeldt-Jakob disease because they ate Japanese beef rather than U.S. beef..is that the LDP cannot call the Socialists and the Communists out on their biased stupidity...because, of course, pointing out the glaring difference in the number of BSE cases in Japan and the United States, both in actual and relative terms, would so upset the voters in the farming constiuencies. WASHINGTON, Nov. 12-- A U.S. congressional bill holding Japan accountable for sexual enslavement during World War II has a renewed chance of going to the House floor for a full vote next year if Rep. Nancy Pelosi is elected House speaker as expected, close sources said Sunday. The U.S. House Committee on International Relations passed a resolution in September demanding Japan acknowledge and accept responsibility for enslaving young women, known as "comfort women." This is the first bill to be passed by a U.S. legislature on the issue but is not likely to reach the House in the current session. "(If Pelosi becomes the House speaker,) she is more likely to bring it to the floor," a source close to Congress told Yonhap News Agency. Pelosi is characterized as a human rights advocate, and is especially outspoken on women's and China issues. Hundreds of thousands of women, mostly Koreans, were coerced or lured to serve Japanese soldiers at frontline brothels during World War II when Korea was colonized by Japan. Tokyo has admitted to the existence of comfort women, but denies its imperial government was directly involved in operating the brothels. Two previous House resolutions on comfort women, submitted in 2001 and last year, were shelved, due mainly to Japanese lobbying. Which begs the question--who inside Japan's cohort in Washington has any credibility with the old guard of the Democratic Party? 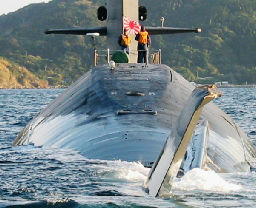 And who on the American side speaks for Japan's interest? Well then, Prime Minister Abe can look forward to a nice juicy resolution coming of the House International Relations Committee just before the summer break in 2008. Maybe more than one. It's a presidential election year...a time for dramatic gestures and naked pandering. Oh, how the members of the Washington Corps fell over each other in a rush to whisper sweet nothings in Republican ears, even unto the eve of last week's election! Oh, how they now must rue their misspent youth! Like the cherries of the Tidal Basin, how bereft of cover and barren the scene in the sudden chill! TOKYO--The Democratic Party of Japan is expected to step up its confrontational stance toward the ruling parties during the remaining month of the Diet session, emboldened by the Nov. 12 victory of the Fukushima Prefecture gubernatorial election by a candidate it supported. 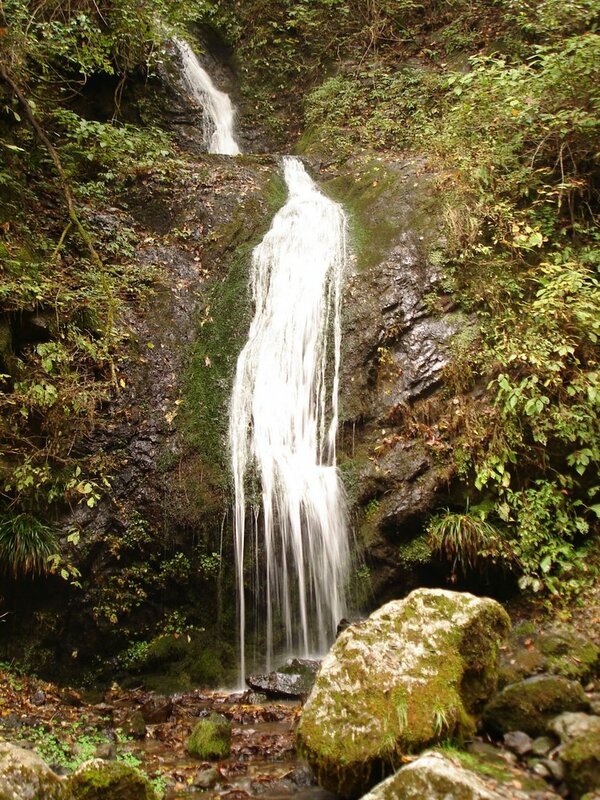 It seems the people in the chihō are as ticked off about graft and corruption as them sophisticated city folks we so often hear about. A victory by 102,000 votes in a multiparty election in Fukushima is a slaughter...and did I ever say anything about the significance of turnout for the Democratic Party? On what was arguably one of the prettiest Sundays (albeit a bit windy and cold) in recent memory, right after a Saturday of dismal, incessant rain, 59% of eligible voters turned out for a by-election! And wouldn't you know it, the Okinawa gubernatorial election is next weekend, pitting a well-coiffed former member of the House of Councillors (59 - female) supported by all the opposition parties against the diminutive former president of Okinawa Electric Power and political novice (67 - male) supported by the LDP and the Komeitō. (Cue the Dragnet theme music again). An advisory panel to Foreign Minister Taro Aso that was established to improve cooperation and understanding between Japan and other countries has drawn up a report proposing the use of Japanese pop culture, including comics and anime, as a diplomatic tool, sources said Saturday. According to the report by the Council on the Movement of People Across Borders, Japanese pop culture has become enormously popular with young people overseas. The report goes on to say that to help related industries expand their business opportunities abroad, it is important that cultural events in other countries are properly promoted, and that the government urge foreign leaders to take adequate measures against pirated products. The council also proposed the establishment of a so-called ambassador of anime culture--a person who would introduce contemporary Japanese artwork to other countries--as well as a Japan comic award targeting overseas cartoonists. It also called for the creation of a pop culture study group consisting of ministries, agencies and industries related to the field. Oh, surely it is not worth the Yomiuri's while to mention somewhere in the article that our current Minister of Foreign Affairs--the Minister of Foreign Affairs--finds the time to sit down and read through 7-8 manga books every bloody week --for, as we know, the personal proclivities of ministers in the Abe Cabinet have nothing to do with the findings published by their advisory committees*. Ambassador of anime culture? Will she be allowed to wear her colorful native garb? * In a recent post, I opined about Minister of Internal Affairs and Communications Suga Yoshihide's ordering NHK to publicize stories regarding the DPRK abductees in shortwave radio broadcasts. It turns out the plan to use NHK in this way dates from March of this year, when the then Senior Vice Minister of Internal Affairs and Comminications Suga asked around whether any loopholes existed in the Broadcasting Law that could be exploited to facilitate such an order. The idea indeed became known in in the Ministry as "The Senior Vice Minister's Proposition." Heck of a front page this morning for the Asahi Shimbun, eh? Three of the Four Horsemen of what could turn out the July 2007 Apocalypse. 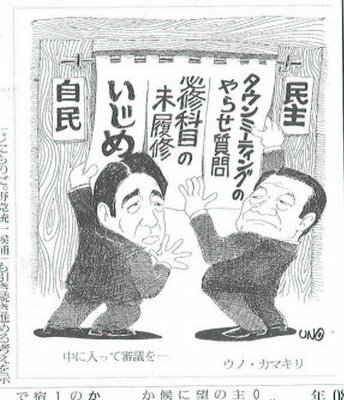 On the left, the controversy over Minister of Internal Affairs and Communications Suga Yoshihide's ordering NHK shortwave and international TV broadcasts to give special emphasis to the story of Japanese citizens abducted by North Korea. Because, of course, the world has heard far too little about these abductions and is clammoring to hear more. "...the Cabinet of Prime Minister Shinzo Abe has put priority on resolving the abduction issue. " Well shucks, that is a good reason. However, the council also asked Suga to continue to take NHK's editorial freedom into consideration, even while working within the framework of the Broadcast Law. "Since I also had concerns about editorial freedom, we asked the minister to take that into consideration," council chairman Mitsutoshi Hatori told reporters after the council's meeting. "The abduction issue is one that is in progress. While it may be important to consider various opinions (through public hearings), we also felt it was important to reach a decision quickly." 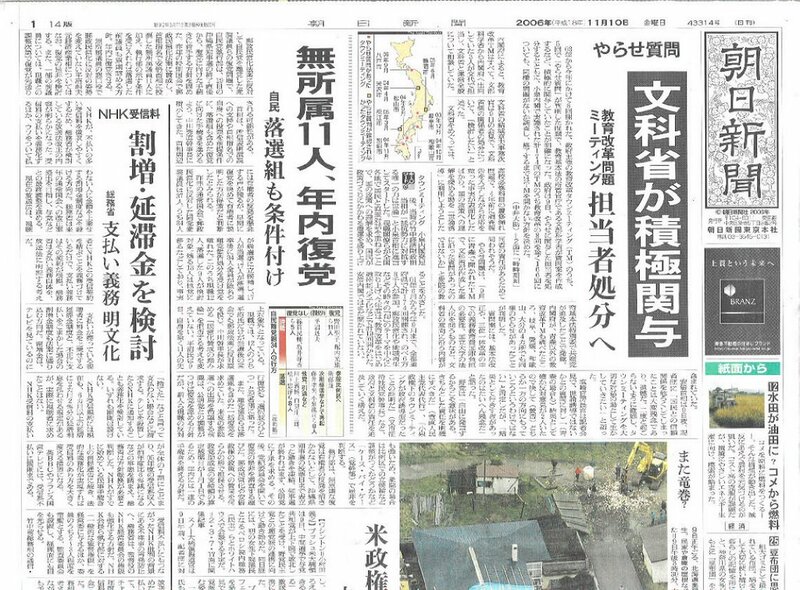 Asahi Shimbun, November 9, 2006. 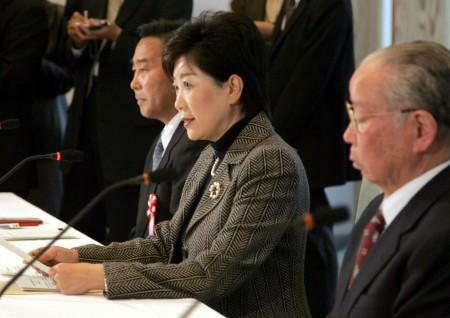 "Council OKs plan to make NHK focus on abductions"
Haste makes waste, me hearties. Seriously, does anyone doubt that establishing a precedent of telling NHK what it should report will not in time transmogrify into telling NHK what it should not report? One hopes that the folks at NHK have the brains to point out if NHK can plausibly be criticized for being a platform for government propaganda (not that anyone would ever believe that anything as hamhanded and unconvincing as the present iteration of the 9 p.m. news is anything but government propaganda--and bad government propaganda at that*) it is possible that even more citizens might refuse to pay their yearly dues, further deepening NHK's budget woes. Next, in the middle, the announcement that 11 of the postal rebels will be readmitted to the LDP by the end of the year. Now all of the dirty 11 sucked it up, abandoned all principle and, spitting in the face of their supporters all the way, voted for the postal reform legislation after the election. They further demonstrated their abnegation and self-loathing by casting ballots for Abe Shinzo in the Diet prime ministerial election. Still, readmitting them to the party seems a really, really bad idea. Nakagawa Hidenao realizes how bad this idea is and has already once postponed the immaculate reaccession of the forces of resistance. Lest the readmission of the 11 paint the LDP as a tawdry party of numbers, not principles (Gosh, who could have imagine that?) he has pushed the readmission date into the blur that is late December. Way, way past the Okinawa gubernatorial election. I have to go over the numbers but I would venture that the number of rural prefuctural seats the 11 might conceivably help the LDP keep or gain are far fewer than the number of at-large seats, suburban seats or urban seats the party could lose through the inevitable tarnishing of its reformist image. I do not often compliment Ozawa Ichirō for his smarts. Here, however, he played a cool hand. He very openly sought the cooperation of the rebels throughout the summer, declaring he will work with anyone intent on toppling the LDP. 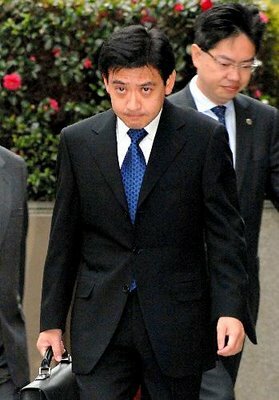 Should his efforts to seduce the rebels fail, he saddles the LDP with all their baggage, and revives the ancient, hated image of the LDP as the party of unscrupulous powermongering. Way to go, Scrumsfeld! Way really tick off duly elected members of the Diet and your party's projected future stars! Finally, on the left, in the biggest juiciest font of all, the ringer controversy involving the town hall meetings organized by the Ministry of Education, Culture, Sports, Science and Technology. It seems the Monkashō bureaucracy was disastisfied with the opinions that the people were expressing at town meetings it was organizing around the country. Now while these meetings were, for many, the one chance an individual might have to put a question directly to a minister, the Monkashō bureaucrats felt they needed to "improve the quality of the discussion". So they planting their own representatives in the audience in predetermined locations to ask the minister questions. Questions exhibiting an oddly detailed knowledge and an unexpectedly positive view of the government's draft of the Basic Law on Education. It turns out that the Monkashō has been salting the audiences with ringers-a lot of them--for a long time. Now I must confess I know former Monkashō Minister Kosaka Kenji. I find it heartbreaking to think he might have been party to such dishonest stage managing. Bizarrely, I find myself in complete agreement with an Asahi Shimbun editorial. It is outrageous--an outrageous abuse of the taxpayer. 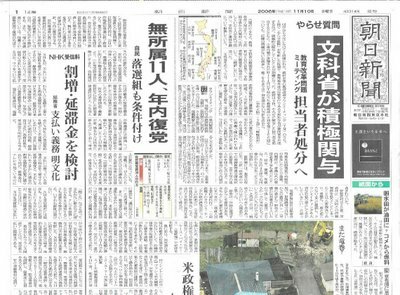 Now the Mainichi Shimbun, not willing to let go of past gripes, screams, "Well, what did you expect? It wasn't called 'Koizumi Gekijō' for nothing." Still, one would have thought that bureaucrats whose job it is to guard against cheating, against presenting another's work as your own, against plagiarism or falsification of records, that such individuals might get a bit queasy about having phoney citizens plying the panel with predetermined questions. It is a long time from now until July--but if Abe cannot get a grip on his party's image, on the perception that bureaucrats running amok and his ministers (to whom he owes big, big favors) are embarking on ideological crusades --the he is going to have a heck of problem convincing the people that reform is still alive...and worth voting LDP for. * Seriously, who is the producer of NHK's 9 p.m. newscast? It is an insult to television's evolution--as if we were suddenly warped into an ugly alternate universe where Kume Hiroshi had never clipped on a microphone. I am a registered Democrat AND I do not drink...so I guess tonight I'll just have to go wild and order TWO oolong cha's. That buzzing in the air you hear? Ahhh, methinks t'is the unseemly hum of 100,000 shredders shredding. Yes, I am talking about you, Representative Tom Lantos! The only Holocaust survivor in Congress and the senior Democrat on the House Committee on International Relations! Congressman "How do you say, 'Chinese and Korean slave laborers, mistreated POWs and comfort women in blunt Japanese?'" 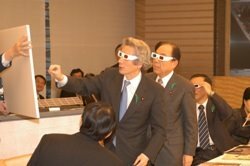 ... how long does Nakagawa Hidenao dare wait before sucking it up, rubbishing diplomatic protocol and calling in to congratulate the Madame Speaker-Elect? Why is it that I feel a cold hand of fear clutching at my spine as I read about the Japanese government's sudden flood of solicitude for these people? NEW YORK (Kyodo) Family members of Japanese abducted by North Korea wound up a weeklong stay in New York on Friday saying they were pleased with the outcome of their efforts to obtain cooperation from the U.N. on the rescue of abduction victims. Shigeo Iizuka, 68, one of the group members, described the trip as "a satisfactory visit" during a news conference at the headquarters of Japan's U.N. mission. The group met envoys and senior diplomats from 13 countries, including U.S. Ambassador to the U.N. John Bolton. 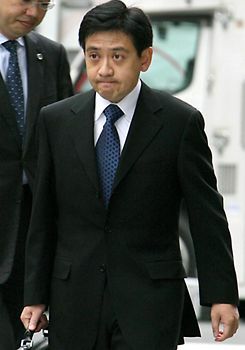 Besides Iizuka, the entourage included Teruaki Masumoto, 51, along with Tsutomu Nishioka and Yoichi Shimada, both deputy representatives of a group supporting people whose relatives have been kidnapped by North Korea. Expressing satisfaction with the Japanese government for their U.S. trip, Nishioka told the news conference that Japan's position of never compromising over the abduction issue helps ensure the safety of abductees in North Korea. After meeting with the family members on Tuesday, Bolton told reporters, "The abducting of innocent civilians by a regime like that tells you about the character of the regime and it's obviously both an act of terrorism and a gross abuse of human rights." "The abducting of innocent civilians by a regime like mine," Bolton continued, "is by contrast prudent, desirable and neither terrorism nor a gross abuse of human rights. Comprendo, mi amigo?" Sorry, I could not help myself on that one. Hearing Ambassador Bolton lecturing others on detentions and abductions leads inevitably and irreversably to a snorting of miso shiru out of the nostrils and a spewing of rice grains all over the fish plate. Beyond the physical response to the Ambassador's gross violation of the No Irony In Government Act, the article fills me with a certain amount of dread. Just as the various right wing causes celèbres, including the annual August 15 visit to Yasukuni, have been put on the shelf for the national interest, I am fairly sure the Cabinet's current coddling of the families of the abducted will diminish dramatically in the weeks following the July 2007 House of Councillors election. My favorite misanthrope at Global Talk 21 has a more expansive and sophisticated reading of the abduction tea leaves. This article disturbed me so much I emailed my friend at the LA Times, asking him where I should go to vent my spleen about such naive stenography of bucknaked propaganda. Cash crunch seems to have helped bring nation back to talks. Washington — For three years, the Bush administration has waged a campaign to choke off North Korea's access to the world's financial system, where U.S. officials say the nation launders money from criminal enterprises to fuel its trade in missile technology and its efforts to build a nuclear arsenal. That effort has started to pay off. U.S. pressure forced Macao this year to freeze North Korean assets in one of its banks, then foiled North Korea's panicky attempts to find friendly bankers in Vietnam, Mongolia, Singapore and Europe. And after North Korea's Oct. 9 nuclear test, China ordered some of its major banks to cease financial transactions with the country. The cash crunch appears to have played a key role in North Korea's decision Tuesday to return to six-nation talks over its nuclear ambitions. North Korean officials said that as part of the talks, they wanted to raise the issue of lifting financial sanctions. "They're not coming back because they want to give up nuclear weapons," said David L. Asher, the U.S. State Department's point man on North Korea until last year. "They are feeling the financial pressure and the cutoff from the international financial system, so they are trying to make nice." But the U.S. effort still faces two enormous obstacles: Russia and China. North Korea continues to have access to banks in both countries, according to current and former U.S. officials who say that without those nations' cooperation, the U.S. effort will be largely ineffective. Both major powers have historically been more concerned about protecting their strategic interests than in joining U.S. efforts to sanction their neighbor. Stuart Levey, the U.S. Treasury undersecretary in charge of investigating terrorist financial webs, has traveled to Russia and China, including a trip to Moscow last week. Levey said he had "constructive discussions" with his Russian counterparts, but declined to say whether they would act. A Russian Foreign Ministry official said they had "agreed to further cooperation." U.S. officials believe that both countries will continue to resist American appeals for a further crackdown in part because of their "historic ties to North Korea," said a senior counter-terrorism official, who spoke about the U.S. campaign on condition of anonymity. Evidence gathered over the decades by Washington indicates that North Korea has become what some U.S. officials call a "Soprano state." The government in Pyongyang used its embassies to coordinate illegal activities, its ships to move heroin and other contraband, and its factories to make counterfeit $100 bills and bogus brand-name cigarettes, U.S. officials say. Kim Jong Il, the North Korean leader, used the profits to fund his nuclear program, U.S. officials say, but also to import Mercedes-Benzes, pricey cognacs and other luxury items to buy loyalty. Washington fears that North Korea could decide to use its well-worn trafficking networks to sell Iran or others the hardware or know-how to make weapons of mass destruction. So administration officials decided in 2003 to attack by unconventional means. They created the Illicit Activities Initiative, a classified, multi-agency effort aimed at curbing North Korea's black-market networks. A year ago, the United States moved on one of North Korea's bankers, officially designating the small Banco Delta Asia in Macao as a "primary money-laundering concern" under the Patriot Act. Pyongyang, U.S. authorities found, banked much of its criminal proceeds in the former Portuguese colony, a freewheeling gambling haven, which became an autonomously governed Chinese territory in 1999. "Banco Delta was just a thumbtack against their skin," said Asher, who headed the Illicit Activities Initiative. "We knew that behind the skin was a central artery. When we pricked it, blood was going to start coming out fast." Oh, golly this has it all doesn't it? Dissing of the Russians and the Chinese. The anonymous source within the government casting aspersions. The pop culture reference. The mis-association of goods smuggling and nuclear sales. The chest thumping by the former Bush official, now at the Heritage Foundation. Read the whole article. You may find it surprising that the writing of an exposé on how a U.S. policy affects Northeast Asian security and politics does not require talking to an actual Northeast Asian. How about calling up a Japanese, since the denizens of the Land of the Rising Sun are ostensibly on "our" side in every which way that counts? And where is the other shoe? Where is the little boy in the crowd, noting the Emperor's distinct lack of dress? "Gee, did the financial sanctions pressure the North Koreans into walking out of the Six Party Talks, fire off their missiles, including a prototype ICBM, in July and test a nuclear device in October?" Oh, I know, the North Koreans may have planned to do these things all along--but is there anyone who does not now believe that the financial sanctions pushed the Dear Leader to accelerate the timetable, just a little? I frequently give the Japanese press a hard time for printing outright falsehoods and flightless trial balloons . However, the ink-stained wretches of Japan have an excuse: the "balance" requirement in the Press Law makes it hard for their editors to state "what this person is saying is a blatant, transparent lie." Instead, they print the lie, hoping that the story will either sink into the muck of its own absurdity or a reputable person will come forth to deny the story. The author and editors of this article ostensibly labor under no such constraints. To print an uncritical regurgitation of a self-absolution ("Ladies and Gentlemen of the Press: the Operation was a Success. The Patient, Unfortunately, Unaccountably, Died.") is a dereliction of intellectual duty. If the financial sanctions program is to be counted a feather in the Bush Administration's cap, Amaterasu help us Northeast Asia residents from a Bush Administration failure. Okutama Town, Tokyo Metropolitan District. November 3, 2006.